DOVER, Del. — USDA’s Natural Resources Conservation Service is seeking applications from Delaware farmers and landowners interested in installing conservation practices on agricultural lands to restore critical wildlife habitat of the American Black Duck. The application deadline is April 19. 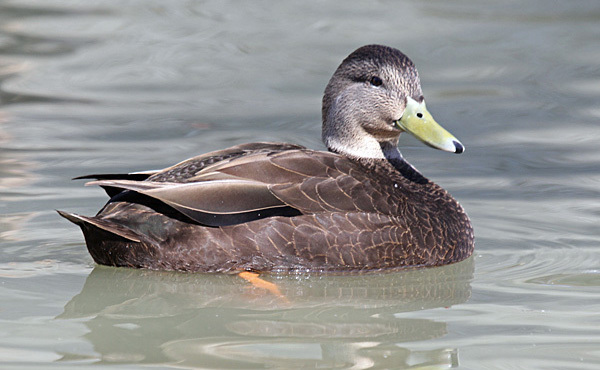 The American Black Duck was once one of the most abundant dabbling ducks in the Atlantic Flyway. However, their population has declined significantly mainly due to habitat loss and degradation. 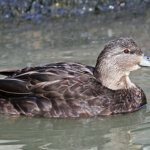 NRCS has identified areas in Delaware, New Jersey, Maryland and Virginia that are ideal for restoring black duck habitat. 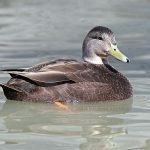 Black ducks in the mid-Atlantic region prefer habitat that is a combination of salt marsh, freshwater and brackish wetlands and tidal flats along the Atlantic Coast. Funding is available for applicants interested in restoring previously drained or ditched wetlands, creating new shallow water habitat from low-lying marginal cropland and restoring or creating vegetative areas adjacent to wetlands which could serve as nesting habitat. Assistance is also available for coastal participants to evaluate saltwater inundated areas and plant native, salt tolerant species to anticipate future marsh migration, create waterfowl habitat and control invasive Phragmites. Interested applicants are encouraged to sign up before April 19 for funding in fiscal year 2019. This habitat restoration effort will have far-reaching benefits for the northern pintail, mallard, teal and more than 25 other waterfowl and wildlife species. The targeted conservation practices will also improve water quality and help producers with saltwater intrusion or marginal cropland convert their land into valuable waterfowl habitat. 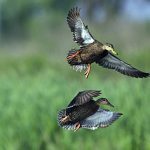 The American Black Duck is a regionally-identified target species for the Working Lands for Wildlife initiative, a collaborative approach to conserving habitat for declining species on farms and working forests. NRCS staff worked with Ducks Unlimited to develop strategies to address habitat loss and with Black Duck Joint Venture to identify priority areas. 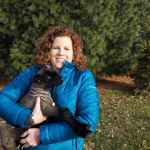 The Nature Conservancy, the National Fish and Wildlife Foundation, the US Fish and Wildlife Service and state wildlife agencies are leading partners to conserve and restore black duck habitat. NRCS accepts applications on a continuous basis but makes funding selections at specific times throughout the year. 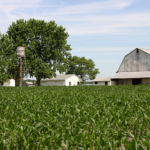 Interested landowners and producers are encouraged to contact their local NRCS office as soon as possible to be among the first considered for funding. 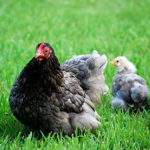 To learn more about this important initiative, please contact Chase Colmorgen, Farm Bill Biologist for Ducks Unlimited at 302-245-3235 or email at ccolmorgen@ducks.org or contact your local USDA service center. 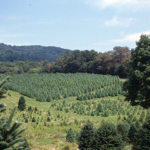 In Delaware’s Sussex County, call 302-856-3990, ext. 3; in Kent County, call 302-741-2600, ext. 3; and in New Castle County, call 302-832-3100, ext. 3 or visit www.de.nrcs.usda.gov. More information on wildlife restoration efforts through the WLFW initiative is available at www.nrcs.usda.gov/wildlife.